A storm is brewing in the SA music festival scene as RAMfest organisers yesterday announced dates for RAMfest 2016. And these dates coincide with those of Splashy Fen 2016, and more importantly, Witchfest 2016. On 9 April 2015 Witchdoctor Productions, the company that organises Witchfest, announced that tickets for Witchfest 2016 will go on sale on the 1st of May. The dates published in their press statement listed 24 to 27 March 2016 (Easter Weekend) as the dates on which the festival will take place. 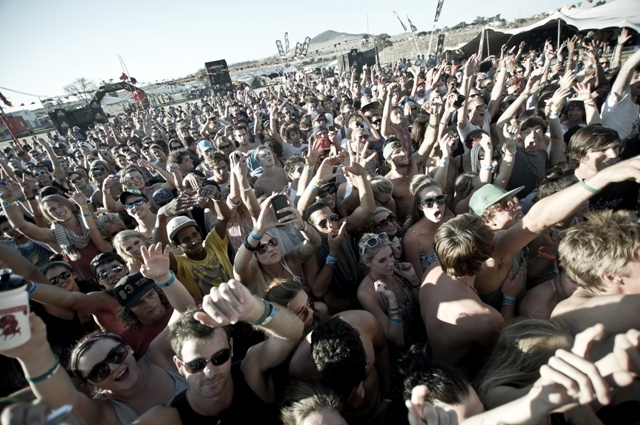 As we know, Splashy Fen always takes place on Easter Weekend. Yesterday, RAMfest organisers posted 25, 26 and 27 March 2016 as the most likely days on which RAMfest will take place. Which is strange since RAMfest always happened in early March. The announcement by RAMfest caused a furore on social media, with RAMfest being accused of trying to screw over Witchfest and metal music fans. FOR THE RECORD! Our dates as proposed last night was in no way an attack on Witchfest. It was a simple question as to what our fans thought of the date. We have been struggling with RAIN for the last couple of years, especially at our Johannesburg shows. After taking off a year to re-look things and strategise a better experience for everyone, these dates came up. People called this response “shocking”, with suggestions that RAMfest should “hire someone to do (their) PR” and stating that “this status (is) very unprofessional”. As we all know (and truly feel the absence of) there will be no RAMfest in 2015 as the organisers couldn’t confirm major international acts in time for the dates they wanted to host the festival this year, as well as to put more planning into the 2016 event. This could be because the dates coincided with Australia’s Soundwave Festival, which booked pretty much any band worth a damn. Perhaps they are planning something huge for 2016. There have been countless calls for RAMfest to bring Slipknot to South Africa for years now. RAMfest already played host to massive bands over multiple years such as The Awakening, Die Antwoord, Pendulum, Alkaline Trio, Funeral For A Friend, AWOLNATION, In Flames, Infected Mushroom, Rise Against, Bring Me The Horizon, Foals, Biffy Clyro, Trivium, and Killswitch Engage. The same organisers also brought Lamb of God, Billy Talent, and Asking Alexandria to South Africa. 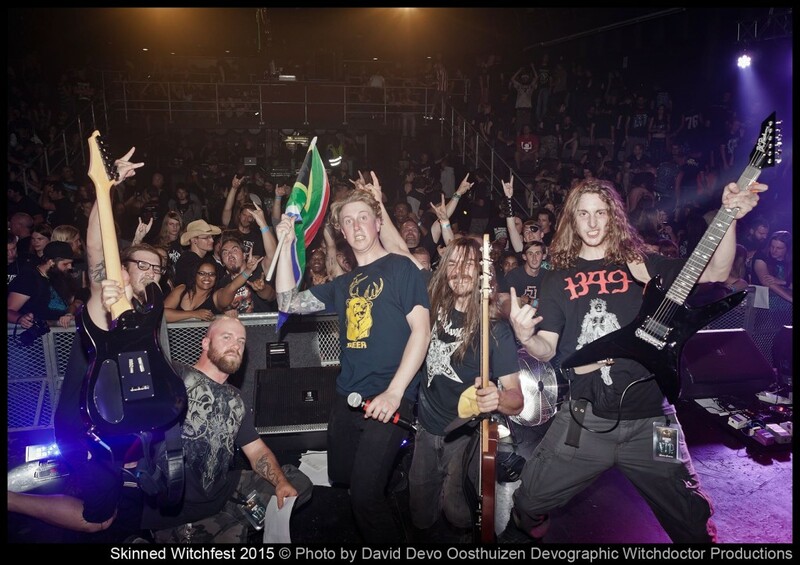 In contrast, Witchfest had their inaugural event in 2015 with a much stronger focus on heavier metal bands. Acts included Skinned, Alestorm, Decapitated, Hatebreed, Aborted, Belphegor, Kataklysm, Cannibal Corpse, Fleshgod Apocalypse, Carnifex, SepticFlesh, and Epica. The massive hipster conference known as Splashy Fen. Splashy Fen tends to sway more toward the indie and alternative scene with mostly local acts performing. But Splashy Fen may prove to have the most loyal following as the event has been happening since 1990 and can easily pull up to 20000 fans. Many of the people going to Witchfest and Splashy Fen would also want to attend RAMfest, as RAMfest tends to include a wider variety of music that would suit the taste of any iPhone/Mumford & Sons hipster groupie, and the hardest goat-slaying metalhead. Perhaps it would be in their best interest to move the event to a different weekend to try and accommodate as wide a variety of fans as possible? If the event stays on the same weekend as Witchfest and Splashy, then perhaps the ticket prices of these events will determine which one you will attend in 2016. The prices of next year’s fests may shock the physical crap out of you. 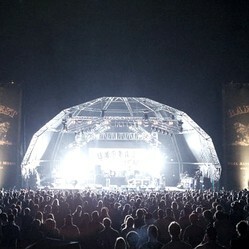 Generally RAMfest tickets will retail for R700 for the entire weekend, with camping included. At most a RAMfest 2016 ticket will go for R800. Splashy Fen cost fans R750 this year with camping included, which we feel may be exorbitant as they didn’t even have any international acts. Even Oppikoppi with all it’s massive acts, South Africa’s biggest music festival, which thankfully won’t take place on Easter Weekend, is cheaper. But if you think that’s a lot of money for one weekend, you’d better sit down. 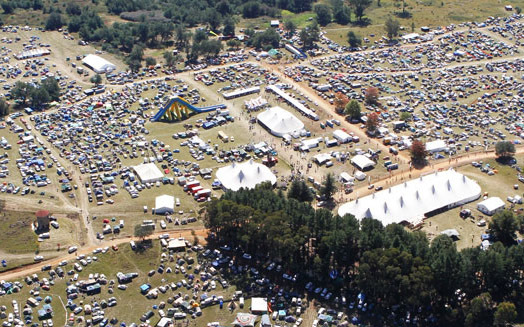 Witchfest 2016 will cost you a massive R2980 per person for the entire weekend with camping, officially making it the most expensive music festival in South Africa. But the tickets are very limited. We can safely assume that only the most die hard metalheads will fork out three grand for this. 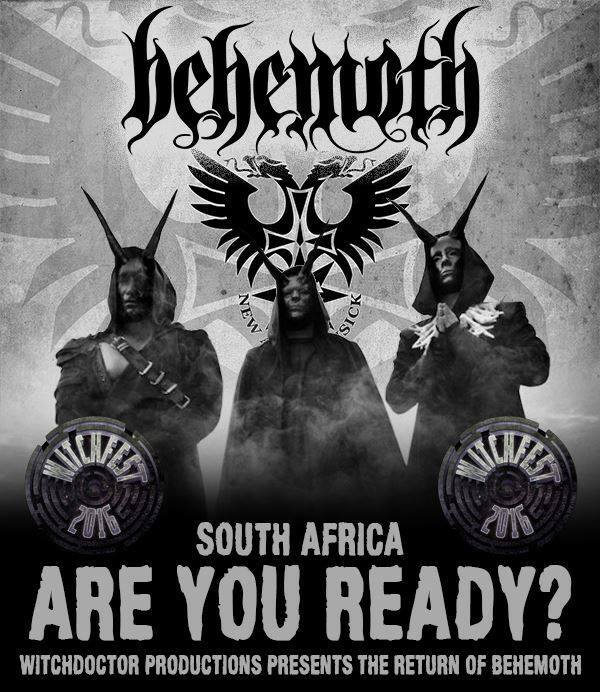 One thing that does bode well for Witchfest is that Behemoth has already been confirmed for next year. RAMfest and Splashy Fen are yet to announce any bands for 2016. One thing that is for sure is that competition between music festivals in South Africa to try and become the best of them all can only benefit the fans. 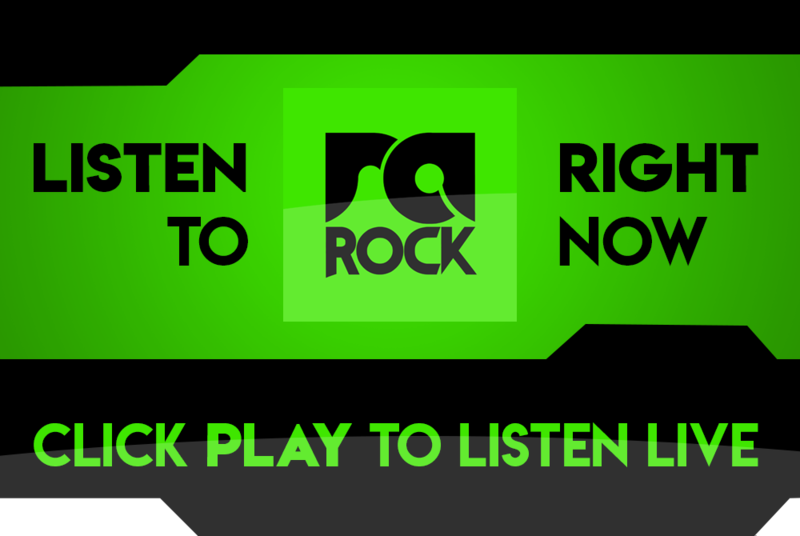 As the festivals compete they will definitely try to each up their game, which will in time bring rock, alternative and metal music festivals in South Africa on the same level as elsewhere. Which of the three music festivals will you attend in 2016? Let us know in the comments below.